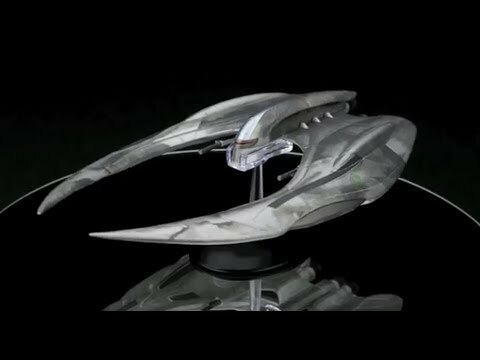 Own the iconic ships from the classic to the modern Battlestar Galactica TV series with our ship of the month offer! Your satisfaction is guaranteed with risk free trial-offer- hassle-free returns, easy cancelation and no commitments. 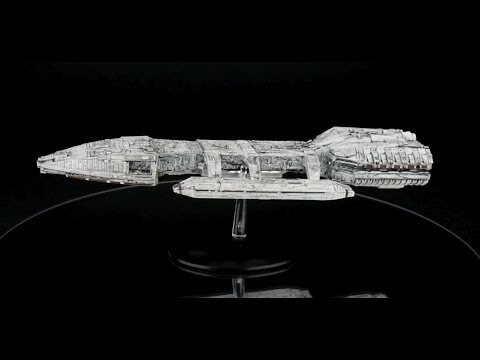 Tour the galaxy with these over-sized die-cast model ships based on the popular television series, "Battlestar Galactica". 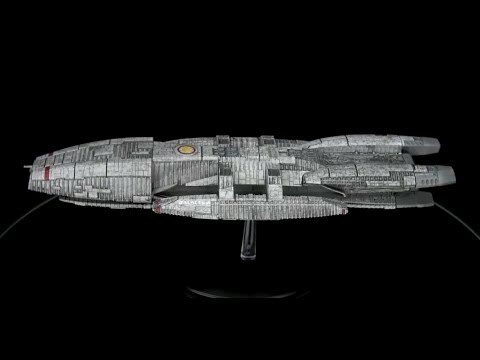 This new series will feature models from both the classic and the 2004 series with each ship being between approximately 6 to 11 inches long. 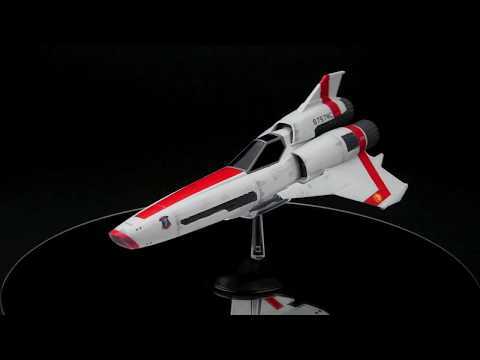 Each model comes with a stand that makes it ideal for display as well as a must-have for any fan of the sci-fi series! Each ship comes with a special collector's magazine that features behind the scenes articles, original design sketches, and a breakdown of the technology on board. It is split into 4 distinct sections for easy reference. Subscribe risk free for $59.95 $29.95 and get your first ship: the Classic Galactica (1978)! 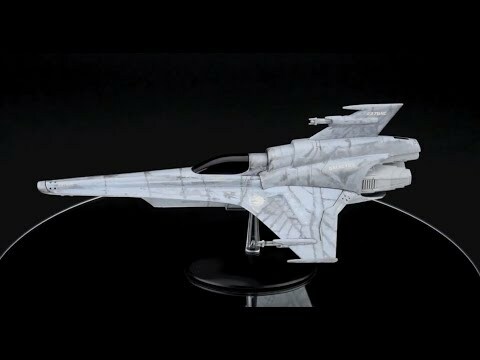 Get one new Battlestar Galactica Ship delivered to your door every two months for only $54.95 + free S&H. Satisfaction and delivery guarantee. Cancel at any time. No questions asked. What will I receive in my introductory package? Order today and get the first issue in the collection- the Galactica (1978) edition as well as the 16 page magazine. Your introductory package (volumes, price and shipping fess) may vary if you selected a promotional offer. After you receive your introductory package, you will receive 1 issues every two months. What are free gifts? When will I receive my free gifts? Free gifts are special items that you receive for FREE as a “thank you” for continuing your subscription program. As long as you are an active subscriber you will be eligible to receive free gifts during the course of your subscription. There are so far 2 issues in the collection with many more to come. Eaglemoss reserves the right to change the number of issues. The website is not working properly for me. What should I do? The website may be experiencing a technical issue. Please refresh your browser and reload the page. If you are still experiencing issues with the website, you can contact our customer service team at [email protected] or call 1-800-261-6898. If you email the team, please include your name and subscription reference in the subject line. 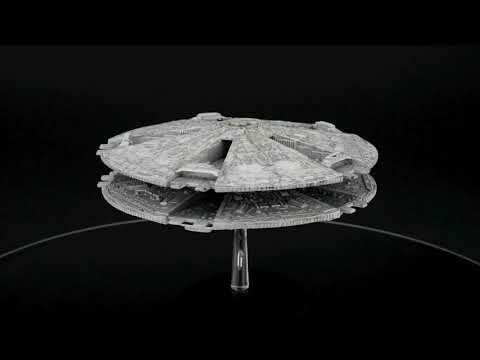 How can I buy individual starships? 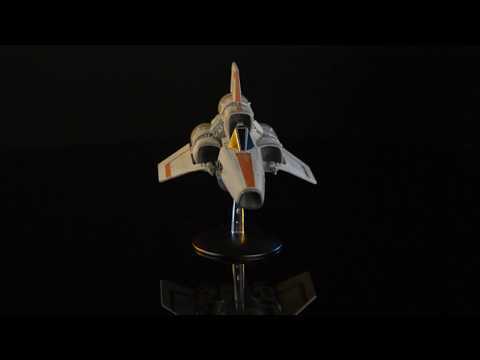 You can buy individual ships online at shop.eaglemoss.com. You may also buy them through your local comic book store. How will the payments appear on my bank statements? Payments will be processed by Eaglemoss, Inc.
You can pay by Visa, American Express, MasterCard and Discover. I have not received all my shipments or received the wrong shipment. Can you help? Our customer services team can resolve this issue quickly. Please contact our customer support team at 1-800-261-6898 or email us at [email protected] If you email the team, please include your name and subscription reference in the subject line. I can't get through on the phone number given. Can you help? We have several lines dedicated to helping you, but they can be busy at peak times so please keep trying. Alternatively, please email our customer service team at [email protected] If you email the team, please include your name and subscription reference in the subject line. You can pause your subscription. This will ensure that you still receive the benefits of a subscriber once you reactivate your subscription. To pause your subscription, you must contact our customer service team at [email protected] or call 1-800-261-6898. If you email the team, please include your name and subscription reference in the subject line. You may cancel at any time. There are no penalties, commitments or minimums when you cancel your subscription. Once you cancel your subscription you will lose the benefits you have accrued during your subscription. To cancel your subscription, you must contact our customer service team at [email protected] or call 1-800-261-6898. If you email the team, please include your name and subscription reference in the subject line. How can I contact the Customer Service Team? You can contact our customer service team at [email protected] or call 1-800-261-6898. If you email the team, please include your name and subscription reference in the subject line.